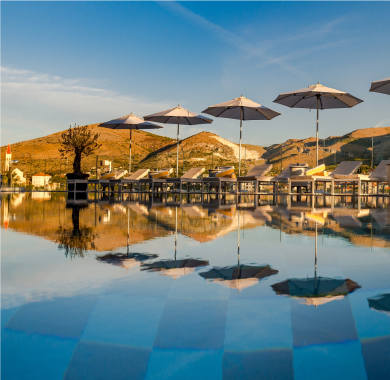 The Pool is home to the Brown’s famous parties. 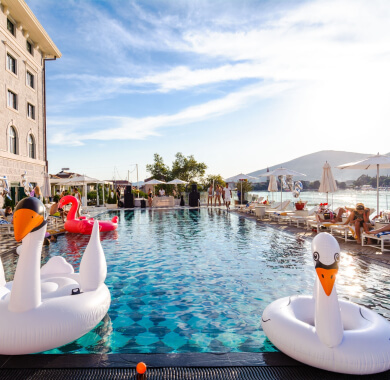 DJs, refreshments and, of course, fashionable floaties, await you in the pool area. 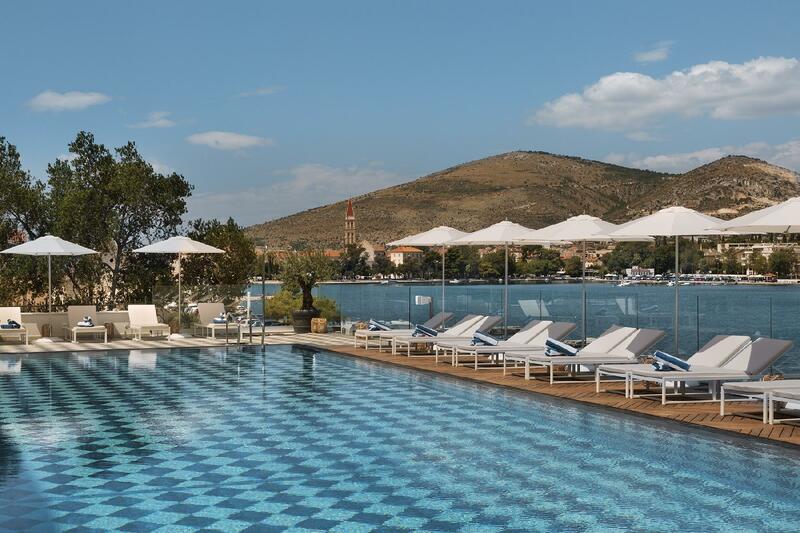 You’re also invited to enjoy one of the many cozy lounge chairs and cabanas, overlooking the sea and Trogir panorama. 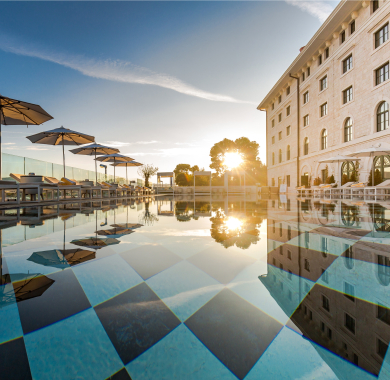 It is the perfect vantage point for taking in the Adriatic’s famously stunning sunsets. The most luxurious part of the house. 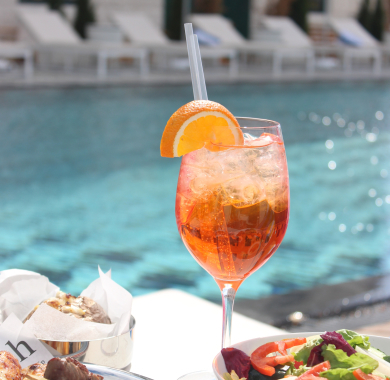 Whether you’re enjoying special company or celebrating your time alone with a book, our staff will gladly cater to your needs and tastes. 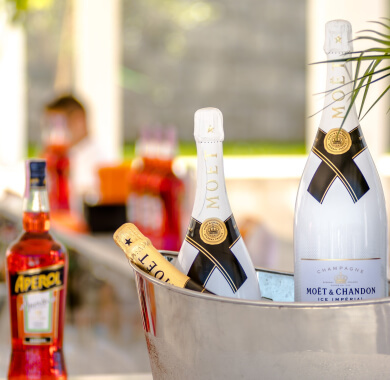 Choose from a variety of fresh, seasonal drinks and cocktails made by the skillful and imaginative bartenders, and take in the warm and social vibe of the hotel’s lively hub.